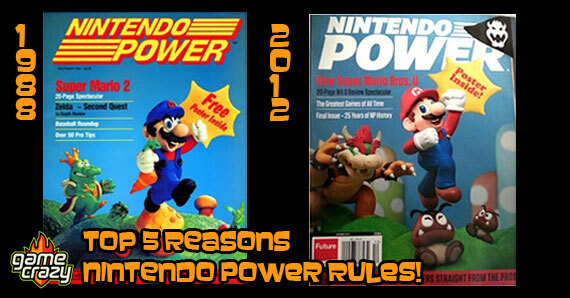 In a move that was inevitable, yet still heart-breakingly sad, Nintendo Power is closing its doors in just a few days. 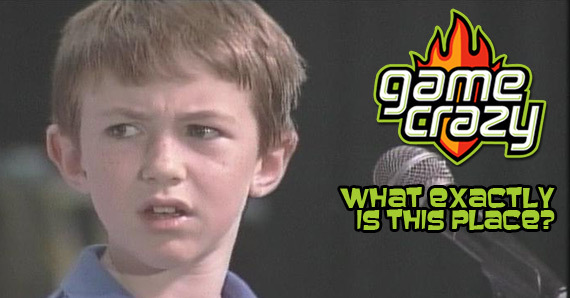 For many gamers, it’s just another video game mag made obsolete by sites like GameFAQS.com, but it’s more than that. It ends an era. 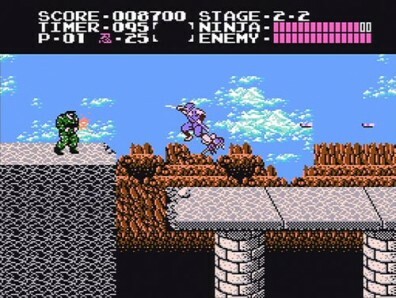 Nintendo Power may not have been the first dedicated video game magazine, but it was the first for many of us, who will miss the one magazine that could get you through the final stage of Ninja Gaiden 2. Grown men will break into tears at the memory of this stage. So in honor of the final issue of Nintendo Power, coming out December 11th, here are a few things that we’ll never forget about the best gaming magazine devoted to Nintendo. 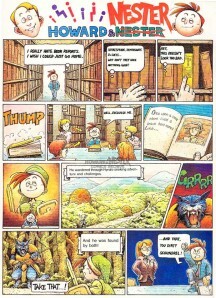 The second issue of Nintendo Power is infamous. 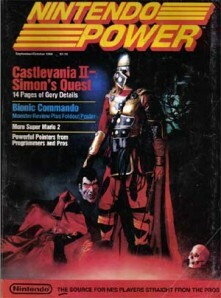 Its cover featured a model dressed as Simon Belmont, star of the then recently released Castlevania II, holding the bloody, dripping head of Dracula. As may have surprised no one, the parents of the children this magazine was marketed to weren’t happy. It prompted plenty of phone calls from indignant moms and dads, and Nintendo Power later cited this as its worst cover ever. Howard is Howard Phillips, the first editor of Nintendo Power and the “President” of the Nintendo Fan Club. He created Nester to be his sidekick in the comic they starred in for the first two years of Nintendo Power. Even after Howard Phillips left the magazine, Nester continued to star as the unofficial mascot of the magazine for years. Though long out of use, many early readers have a special spot in their hearts for this comic duo. This was awesome to a 10-year-old in the late ’80s. Times have changed. Have you ever heard the term “Nintendo hard”? It’s based off the fact that NES games were often punishingly difficult. Game makers were used to the arcade model of making a game brutal to keep those quarters coming, and apparently no one told them the NES wasn’t coin operated. Three lives, no continues and a ridiculously high level of difficulty ensured that only the best of the best beat Battletoads. Unless, of course, you had a subscription to Nintendo Power. The earliest strategy guides came bundled in the magazine, and with full maps and item locations, it was often the only way to get through that last stage. There was no Internet to find that warp whistle. Every single issue of Nintendo Power came with a poster, and it was your duty as a gamer to cut that sucker out and hang it on your wall. It didn’t matter if it was for something awesome like Castlevania, or something less awesome like Jiffy Kid, you hung that damn thing on your wall. Because back in the day, it was the only gaming poster you were going to find. My room looked like it was wallpapered in Shigeru Miyamoto’s creative vomit, but I loved it. Some could even pass as art. In the early ’90s, Dragon Quest was blowing up in Japan. In the US… not so much. In a move to help get rid of the enormous quantity of unsold cartridges they had left over, Nintendo decided to start giving them away with new subscriptions to Nintendo Power. Possibly the best marketing campaign ever, thousands of people flocked to the magazine in order to get a free game. It introduced thousands to RPGs in general and the Dragon Warrior franchise specifically. While it’s come a long way since, I’ll always remember my free copy of Dragon Warrior. And why it didn’t sell in the first place. No longer playing with power, we now play with a heavy heart and tear-filled eyes, because we know an iconic part of gaming history is gone. We weep for the future generations who will never know your pages. 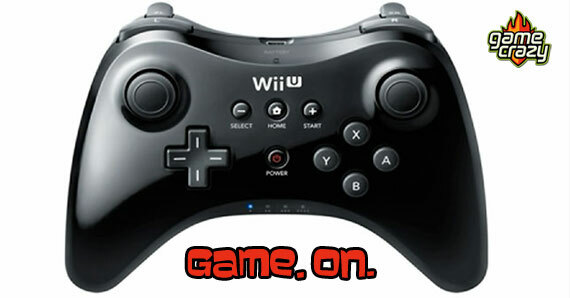 Wii U – Now you’re gaming with power. Indie power. R.I.P. Hiroshi Yamauchi, the man who made Nintendo a name in games An Introduction To the NEW Game Crazy The Wii U Pro Controller – There Is A God, and He Loves Nintendo! 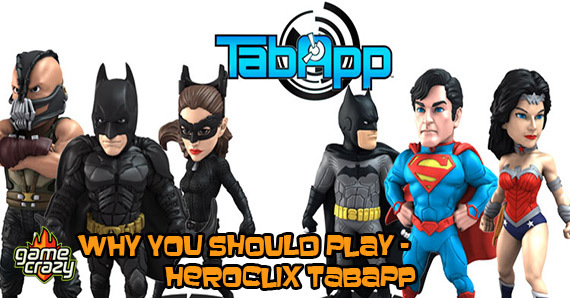 The Top 5 Reasons You Should Be Playing HeroClix TabApp CNN vs. Nintendo – The battle of who’s more “out of touch” Can’t Make It To E3? Local Comic Conventions Offer Video Game Goodness New Limited Edition Consoles from the Big Three! 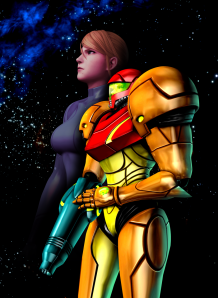 This entry was posted in The GC Blog and tagged nintendo power, nintendo power magazine, nintendo power review, Top 5, video game magazine by RLaitinen. Bookmark the permalink.